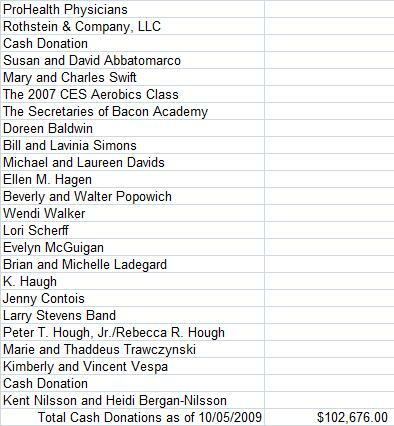 The Cody Camp Memorial Field Foundation would like to thank the below listed donors for their generous cash contributions to help achieve the Foundations goals. The Cody Camp Memorial Field Foundation, LLC is a not-for-profit 501c-3 charitable foundation and all contributions are 100% tax deductible. The Foundation is currently compiling a list of the enormous service (contractor) donations it has received, without which the Memorial Field would never of become reality. OUR MOST HEARTFELT THANKS TO ALL!. * all amounts = minimum donation to reach level. All Donors at these levels will be forever recognized on the Stone Memorial outside of the Field.